From adding cinnamon to just about everything to drinking lemon water the minute you rise, there are oddball ways to improve your metabolism, but what’s wrecking it in the first place? At a very basic glance, our metabolism is responsible for breaking down fuel and converting it into energy for our cells to feast on. Commonly, our metabolism is related to digestion and whether we can or cannot lose weight. Not only can a stagnant metabolism impact our energy levels and digestion, but yes, it can impact the way we lose fat. And this is where things get muddled — if we’re trying to lose weight the last thing we want is a sluggish metabolism, so we begin to impart all the ways of hearsay that might help speed it up. But, what if we’re overthinking it, what if it’s much simpler to address? Many factors affect your metabolism, namely exercise and diet. At Forge-RX fitness, we can help you tackle your nutrition. We have a personal nutritionist on staff to help you navigate the ins and outs of your metabolism to produce healthy and powerful weight loss. Venture into your biology and learn all about the things that may be slowing your metabolism. We’ve all tried measures to try and kick our metabolism up a notch, and most of the time they sound odd, gross, or both, but we try it because it can’t hurt, right?! So if you’re interval training is next level and you’re guzzling MCT-oil by the bottle, we may have a better solution! But, you can’t hack the system! Oftentimes, we get so caught up in what the media is saying or what a fitness and nutrition guru is claiming, that we bypass actual ways to better our metabolism. We make it complicated and overlook real ways that are slowing our metabolism down. Men are known to have better metabolisms even if they’re overweight or obese and as they begin to shift their eating and lifestyle choices they can drop weight pretty effortlessly — for women it’s much more complex. New research is finding that one of the main reasons men and women’s metabolisms are so different has less to do with biology and more to do with our culture. Because there is an archetypal US woman, a diet culture has been adopted as a result. Girls are beginning diets as early as age six, and overtime, it only impacts our metabolism in a very adverse way and begins a cycle of a sluggish metabolism because of all the early dieting. Now back to what may be slowing your metabolism! You’re not stoking your fire properly! Think of your metabolism as a fire — if you’re only eating fast burning foods (simple carbs that catch and burn very quickly, like newspaper), you’ll never have a chance to actually build the fire. 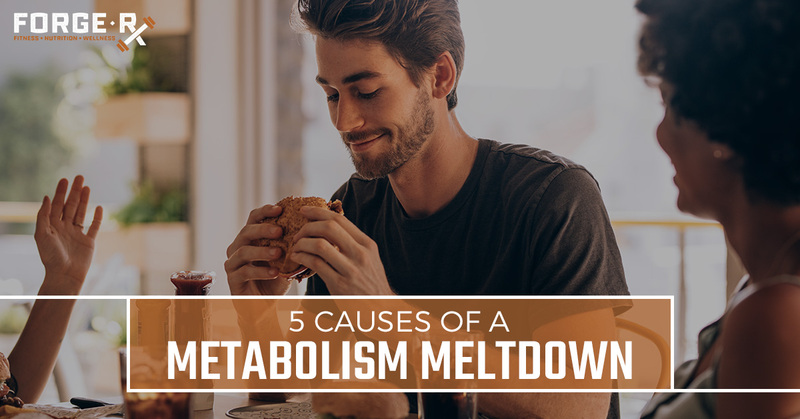 By incorporating slow metabolizing foods (acting as logs), it will keep you satiated, there is less fatigue, and your metabolism is bustling all day long. So, focus your foods on more fat and protein, and less on simple carbs like potato chips and bread. One of the sure-fire ways to bring your metabolism to a screeching halt is to not eat enough. If you’re severely limiting your calorie intake, you’re forcing your metabolism to go into starvation mode. This means it’s going to hold on to everything, and as a result, your metabolism will move like molasses. Beyond that, you also need a variety of vitamins and minerals each day to keep all of your biological processes functioning optimally. Movement and physical exercise is huge. When you begin to move more, your body takes notice and your metabolism kicks in. Your body anticipates the need for more fuel and is buzzing. 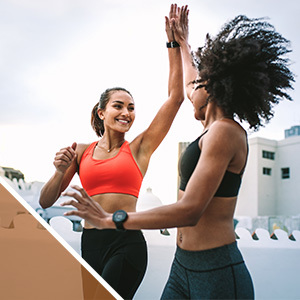 This is why diet and nutrition go hand-in-hand — exercise produces more mitochondria that in return speed up your metabolism, and the more muscle you retain, the faster your metabolism moves! To keep this balance, you need healthy eating habits that support your body. The digital age has ushered a large number of desk jockeys — we sit more than we move! Just 20 minutes of sitting curbs your metabolism, so it’s crucial to move more, especially at work. You’re not getting adequate sleep. Scientists are now claiming that not getting enough sleep is just as bad on our bodies as smoking! If you have disrupted sleep, you wake up feeling tired, and when you’re tired you’re less likely to be active. When you’re less active in the day, you burn fewer calories. We’ve mentioned a couple of factors that could be wrecking your metabolism — where do you fall on the spectrum? If you are doing any of these things, look to fix these things first before turning to cinnamon, lemon water, or a supplement! If you want to learn more about how you can begin to heal your metabolism, work with a personal nutritionist at Forge-RX today!